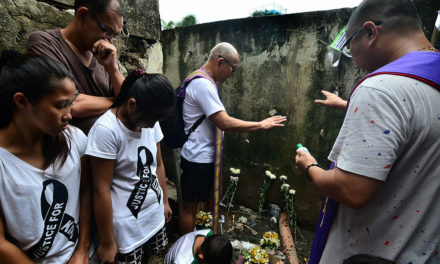 Instead of malling or hanging out with friends, Ruel Tenerife, an IT specialist, spends most of his Saturdays tutoring public school elementary students, who struggle with reading. 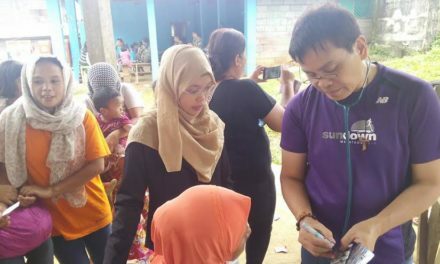 The 32-year old heads a group of some 60 singles who volunteer half a day every weekend to coach and tutor more than a hundred grade 2 and 3 school students in 6 schools in Marikina, Cainta, Antipolo, and San Mateo – all in Eastern Metro Manila. They are part of Cornerstone, a nationwide free tutoring program organized by the Catholic covenanted community Couples for Christ. “Twenty-eight Saturday mornings is not easy, but to help this children of public schools with difficulty in studying, its all worth it,” said Tenerife, who has been a volunteer tutor since 2012. In a country where an estimated 20.1 million of the population are literate but who cannot understand what they read, understaffed schools need all the help they can get. “…Cornerstone is not a prerequisite in school, it’s a support program for the students to help the students read. The teachers supports the program because they find it helpful for them and for the students to improve,” shared Tenerife, who helps oversee and coordinate the program for 182 kids in his area. In their area alone, some 182 students who are part of the program, aged 7 to 12, will be successfully moving on to the next grade level when classes open again in August. For Tenerife and others like him, every “Moving Up Day” brings about feelings of poignant pride, a sense of accomplishment, and separation anxiety for both students and tutors alike. “[I have] mixed emotion as we say goodbye again to our tutees during our last day of tutorial this 2017-2018 school year. For tutors who have been volunteer of the program, we are supposed to get used to this emotion, but instead, it’s always like the first time,” said Tenerife, who even got his boss to donate to the program. 152 Cornerstone students in Tenerife’s area during the moving up day this summer. 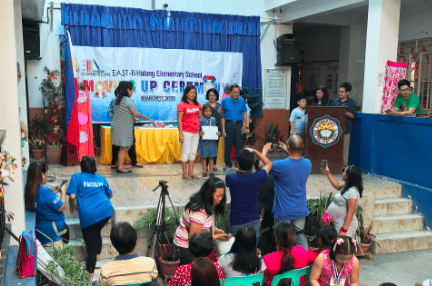 For Tina Matanguihan, who volunteers for Cornerstone in San Juan City, at the heart of Metro Manila, the program has inspired her to be more grateful. According to the World Education and News Reviews, the Philippines’ youth literacy rate fell from 96.6 % in 1990 to 95.1 %t in 2003, making the country the only Southeast Asia nation with declining youth literacy rates. Cornerstone rises at a time when the country needs it the most. “For the past years, we have several stories of non-readers who made it to the honor roll in their class,” shared Cornerstone national program coordinator, Sherryl Canlas. She even shared about a student from Rizal who shot up to the top of his class after joining the Cornerstone program. “The only reason for him not to be able to perform is that nobody took time to help him study,” explained Canlas. There is also the story of a student in Bukidnon in Northern Mindanao, who from a non-reader became 5th honor of his class and is now doing peer tutoring. Many students in public schools struggle with poverty, malnutrition, big class sizes, and lack of teachers. Students like Ronnie Pahimnayon stand to gain the most from programs like Cornerstone. Entering the program at 13-years old, Ronnie, who was a school transferee from Samar, a province in Eastern Visayas, could not even spell his own name. From grade 4, he was returned to grade 3 because of his poor comprehension and reading skills. According to Erica Babad, the Cornerstone team leader for Ronnie’s school, because of his size he had also started bullying smaller kids in school, which Cornerstone tries to address as well through its formation component. Canlas explained that the program would be incomplete if it does not include spiritual and moral upliftment as well. “We incorporate values formation in the [Cornerstone] program because we would to impart to the parents the importance of their personal worth and dignity as children of God,” she said. Formation doesn’t end with the kids but includes their parents as well. Parents of the pupils are also invited to join livelihood programs to learn soap-making, rag-making as well as learning how to cook nutritious food with cheap and easily available ingredients. The other component of CFC’s education program is the ANCOP Child Sponsorship Program (CSP), which raises funds for financially challenged young people continue their elementary, high school and college education.